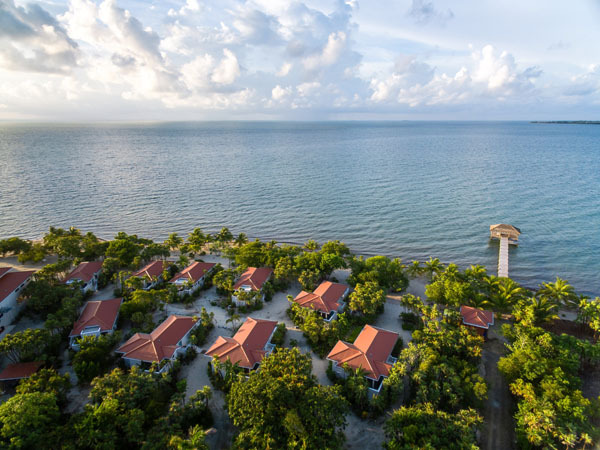 On a small peninsula off the mainland of Belize sit 35 secluded beach houses in a private 200-acre reserve. Naia Resort and Spa in Placencia offers guests breathtaking views of the Caribbean Sea and a barefoot luxury experience provided by their 100% Belizean staff. All original local and regional artwork has been used throughout every beach house, and every unit features locally made products. Naia’s signature restaurant 1981 offers unique dishes such as conch carpaccio, smoked fish dip and herb garlic butter lobster served in a cocktail glass. Paired with a tamarind margarita you can’t go wrong. Along with secluded beach houses and fresh, locally sourced dining at their restaurant 1981, Naia Resort and Spa offers an array of enriching activities for guests. Situated on one of the best beaches in Belize, the hotel offers complimentary kayaks, paddleboards, bicycles and snorkel equipment. You can also visit the resort’s main swimming area, a 50ft saltwater pool that is designed for laps as well as pure relaxation, with a comfortable shallow ledge for simply hanging out in the sunshine. If you choose to book a one bedroom suite or larger you will have a private plunge pool to enjoy in the privacy of your own room. 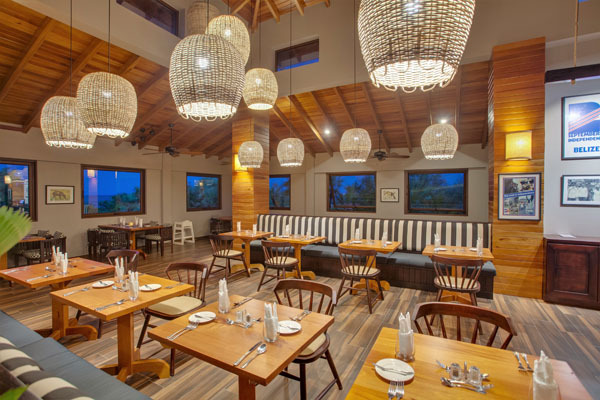 Naia Resort & Spa opened with a focus to offer a culturally enriched experience in Belize, as well as an opportunity to bring wellness, locally sourced ingredients and fresh, healthy food to each guest. At the heart of Naia Resort and Spa lies a unique spa with 5 treatment rooms and a private island couples retreat, tucked away on a series of enchanting lily-covered lagoons. Naia Spa has been honored with first place in the Maya Spa Experience Competition in 2017 and offers an extensive menu of signature treatments, spa rituals, and personalized wellness programs, all of which incorporate native botanicals plus a signature line of organic spa products. Overlooking the freshwater lagoons, Naia Spa is home to a full Fitness Center, a Yoga & Movement Studio and Reflections, a Spa Cafe and Juice Bar. Aerial Yoga classes are a unique feature to the hotel with top instructors teaching classes overlooking the lagoon in a room featuring wall-to-wall windows. Spending a morning at the Ixcacao Chocolatier to see cacao growing on trees and learn about its cultivation. Then enjoying Maya hot chocolate and other delicious chocolate samples while observing the process of making chocolate from bean to bar using heirloom stone tools. Back at the Naia Spa you can enjoy a Mayan Cacao and Spice Wrap. Visiting the Mayflower Bocawina National Park to experience the longest zip-line in Belize. Whether snorkeling on the hemisphere’s longest barrier reef, indulging in a customized spa ritual, or relaxing among the resort’s secluded beach houses and swimming pools, Naïa will offer endless opportunities for discovery. Visiting Belize is easier than ever now, with more airlines from Florida, Denver, Atlanta, Toronto and Houston offering direct flights to Belize City.